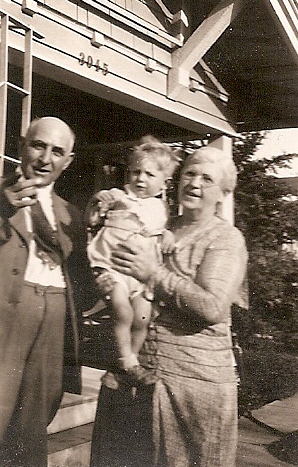 ← Philo Sidney Miner Sr.
Harvey Latta MINER (1873 – 1958) was Alex’s Great Great Grandfather, one of 8 in this generation. Harvey Latta Miner always went by his initials H. L. , although in the Miner family, he was just “dad”. He was born on 26 Jan 1873 in Rock Bluff, Cass County Nebraska. His parents were Philo Sidney MINER Jr. and Calista Jane LATTA. He came to California as a young man, still in his teens. 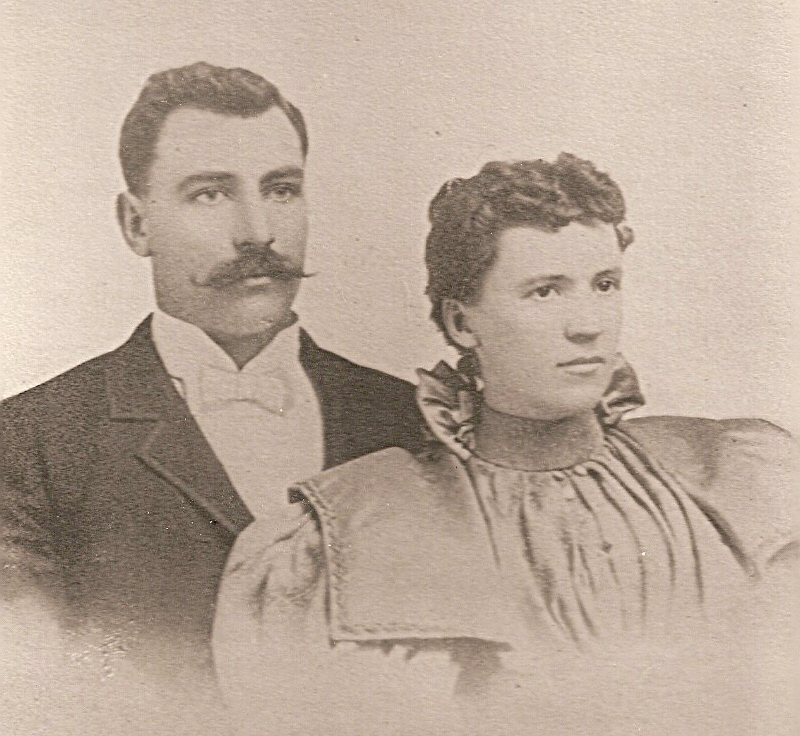 He married Cora Lorena McCAW in Oct 1895 when he was 22 years old. H. L. died on 12 Mar 1958 in San Diego California at the age of 86. Cora McCaw was born 29 Jul 1871 in Peculiar MO. 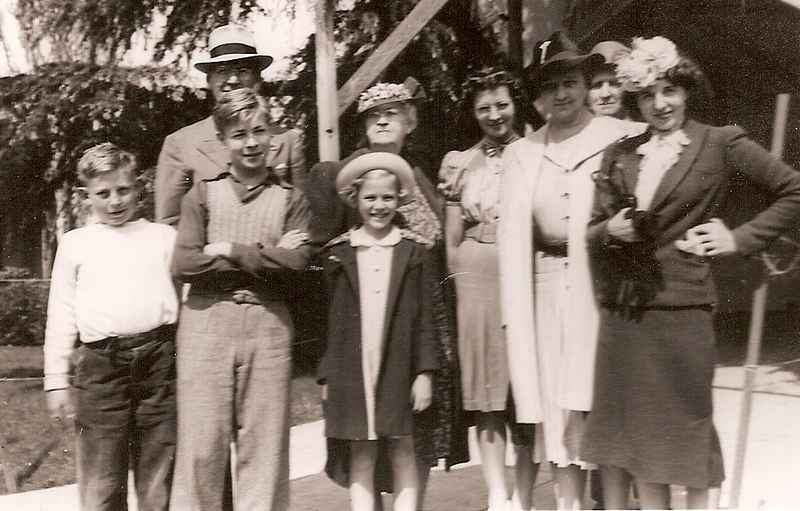 Cora’s parents were William McCAW and Margaret A. SMITH. The minister of the town of Rock Cliff, Nebraska got H.L. 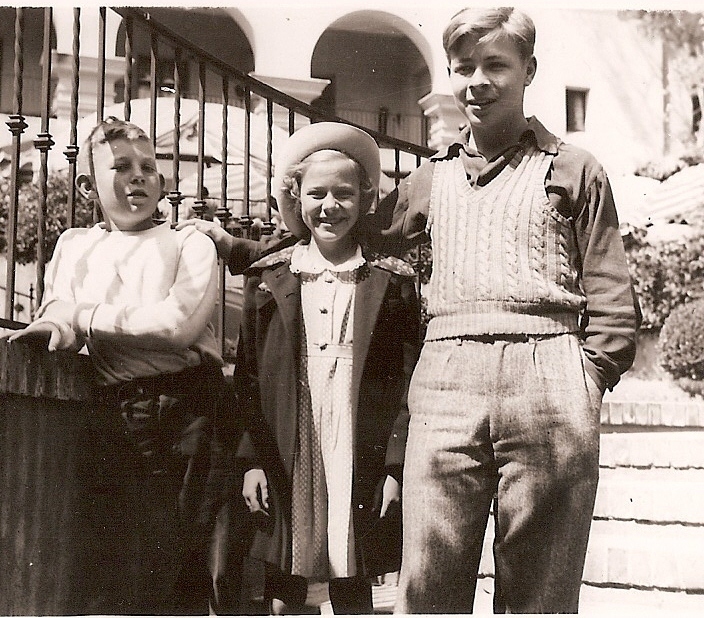 a job in a lumber mill in Fowler, California, so he came out by himself as very young man. His parents and brothers joined him in 1890. He was one of a crew of men who carried the lumber on their shoulders (that was before the days of lift trucks) His right shoulder was lower than the other, due to carrying lumber for years. Later on he became boss with over 200 lumbermen working for his business. H.L. (Harvey Latta Miner) was of average height, balding with large ears and formidable nose. He was heavy set, but not fat. Very strong hands. Everett, his grandson, always thought of him as powerful but just, and everyone who knew him thought very highly of him. He would have been 28 when my grandfather, a second son, was born in Santa Ana. At the turn of the 20th century Los Angeles was busy tearing down the old and rebuilding. H.L. worked for the Whiting-Mead Co. as an estimator/superintendent bidding on the task of demolishing older buildings, reclaiming the value parts, and arranging for the resale of this second-hand material by his company. He was very good at outbidding the competition because he had mastered the multiplication table through the 24’s. No pocket computers, he had it all very quickly in his head. Lumber is still sold by the board-foot and H.L. could do the numbers faster than anyone. 1910 Census – Bookkeeper for a laundry company living at 430 East 11th Street Long Beach, California with wife Cora L McCaw (38), son Glenn M (14), daughter Effie Marie (11) and son Fay E (9). H.L. began working for worked for Mr. Mead and Mr.Whiting in Los Angels before the turn of century. 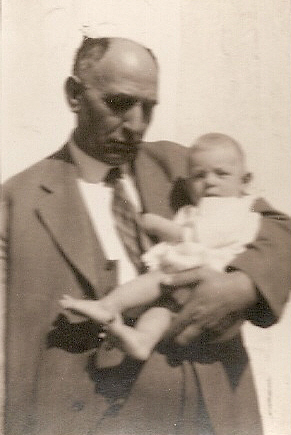 Dad had been born in Santa Ana in 1900. 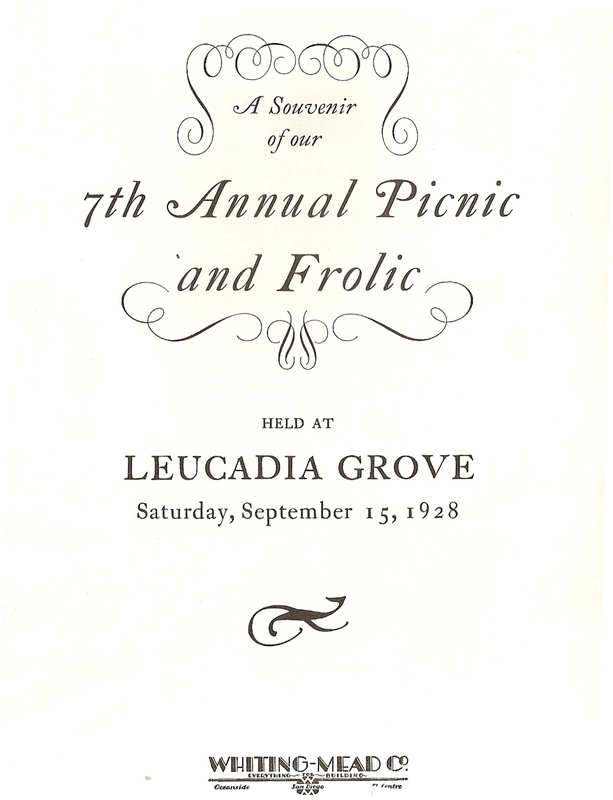 Sometime between 1900 and 1912, they worked for the Company in Long Beach. 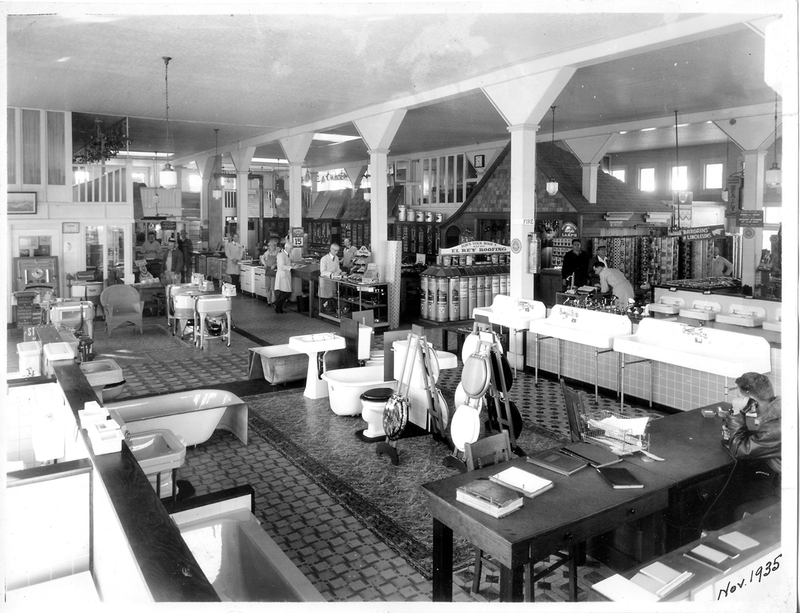 Mr. Mead and Mr. Whiting started as wreakers of buildings and sellers of used building materials so generated. 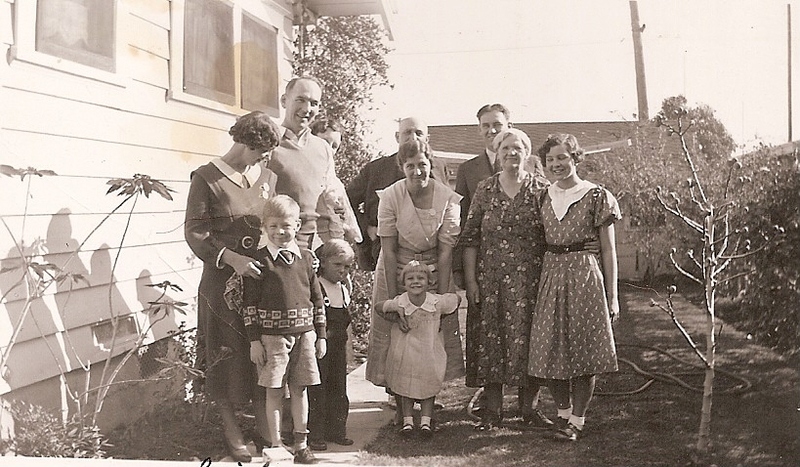 After spending some years in Long Beach, H.L, Cora his wife, Dad’s brother Glenn, his sister Effie and Dad (who would have been 12 years old.) moved to San Diego. H.L. 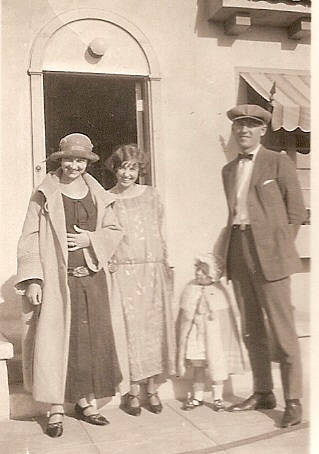 went to San Diego to close down a faltering branch store operation in 1912. Instead he made it the most profitable branch operations. He stayed on to build a network of 9 stores which, when he purchased it from the Los Angeles parent company, was more profitable that the original. 1930 Census – Living at 3045 29th Street with wife Cora L McCaw. When his grandson, Everett was 11 or 12 HL insisted that he come to San Diego for the summer. He was to work at the store, (janitorial chores mostly, he painted the carrier blocks with the deep blue company colors). It was probably a vacation for his parents. 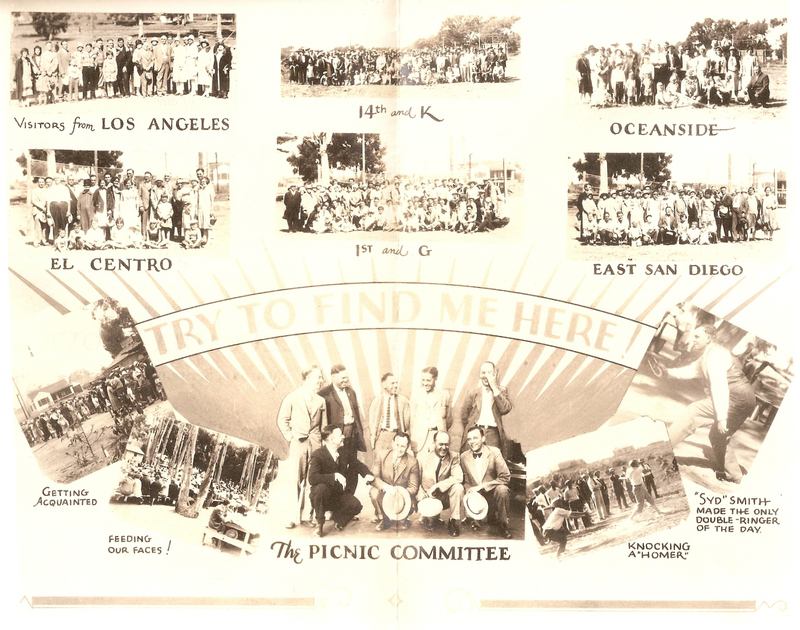 There were 9 branch yards located in San Diego and Imperial counties, and perhaps 400 employees. There had been many more employees in the 30’s, perhaps twice that number, because during that time material handling equipment was not widely available, and everything was done by hand. H.L. was the man in charge and greatly admired by all of his fellow employees. The man his grandson knew best was already 70 years old. Still vigorous, never missing a day at work. The first guy on the scene in the morning. Maybe the last one to leave. Driving down in a Buick which was the level of car ownership he felt comfortable with. World War II was in full swing and we were not yet winning. Supplies of all kinds were in short supply or unobtainable or rationed. H.L showed his farm raised roots during WWII. He had a Victory Garden which he was very proud of and where raised corn, tomatoes, string beans and squash. The back yard already had figs and guavas. Around in the side yard, which he called the south forty, was Indian Corn. Everett never thought of him as an old man, though he was when I knew him. Much to powerful and forceful for that. Certainly a role model for me. Serious minded but with a fine sense of humor. A Christian man to the core. Church Elder. Grace before meals. He wrote in a diary every night for years and years. I would love to look in them to find him there, but perhaps he is not there. He lived in a world that was just beginning to change rapidly. There were no automobiles when he was born. I am sure that they also had no telephones or indoor plumbing in Nebraska in 1873. HL was the patriarch of his family and his 200+ employees. His people were god-fearing Presbyterians and Christianity was the corner stone of their every action. H.L controlled everything in God’s name; his family, his church, and his employees. He did it well, and was greatly admired. Those who yearned for a strong father figure loved him. He demonstrated compassion to many friends and strangers, but not to his youngest son., Fay Everett. H.L. was a righteous man, his family’s Hero, whose shame was that he did not truly believe he was worthy. He was also very intelligent and proud of his ability to out think everyone. He knew his multiplication table through the 24’s which gave him great advange in a computrerless world of quantities. 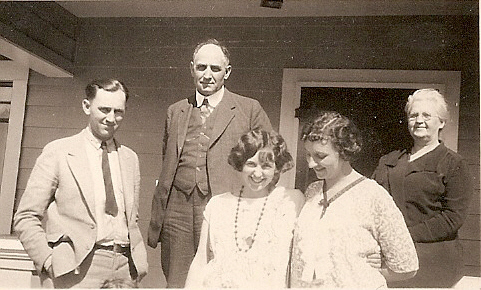 This picture from 1925 from left: Everett, H L, Eleanor, Helen, Cora Miner. 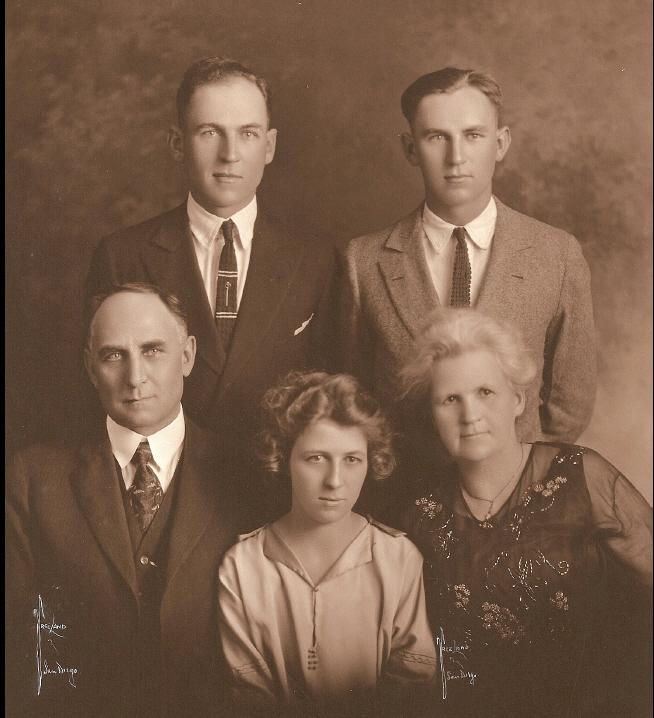 Glen’s wife Helen Una Walker was born 8 Sep 1898 in Clear Creek, Colorado, Her parents were Charles V Walker and Elizabeth H Work. In the 1910 census Helen was living in Belvedere, Los Angeles, California with father Charles V Walker (43), mother Elizabeth H Work (47), brother Ross E (20), brother James O (18) and brother Frank (16). 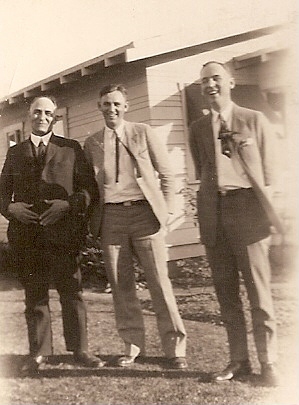 Father was a stationary engineer, brother Ross a fireman & brother James an apprentice tailor.Helen died 15 Jan 1985 in San Diego, San Diego, California. Glen, was the family Hero and Dad was the Scapegoat. Dad bested Glen in any competition. Dad was angry because he wasn’t allowed to lead his own life, but he hid that anger, except when he drove. Glen and Helan had a daughter, Gwen. Glen was the favored son, always pleasing his father. He and Everett (Dad) did not get along well, Everett feeliong that Glen was always telling him what to do. Dad didn’t think Glen was very smart. Nether did I. He was a conformist. Afraid to take any risk. Endlessly analysing to discover why something should not been done. 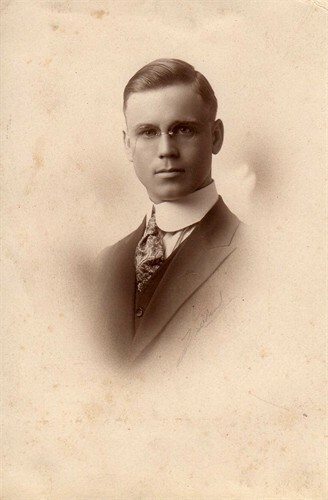 Glen served in the Army during WWI. 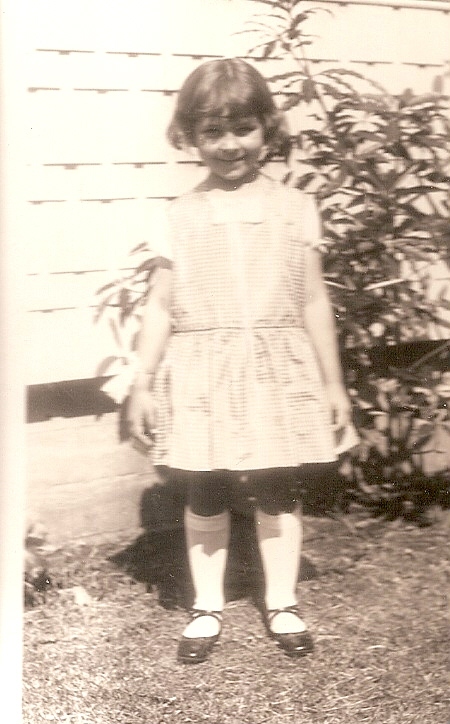 Gwen, a nice person and caretaker, was dominated here whole life by her parents, living the life they wanted her to. Glen and Helen’s daughter Gwen was too much older than Everett for him to have much contact with her. Until recently, she was living in San Diego and saw Lou quite often. 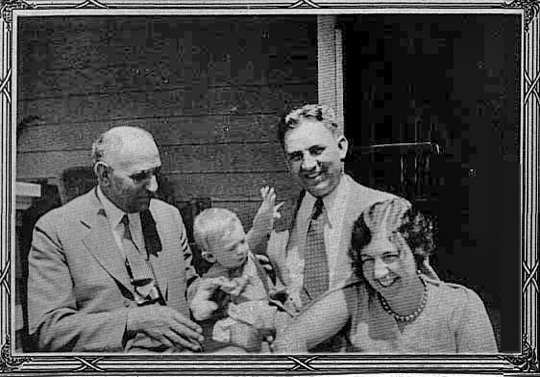 Effie’s husband Philip Russell West was born 20 Oct 1896 in Detroit, Michigan. His parents were John D West (1857 – ) and Ada M Butler (1860 – ). In the 1910 census, he lived at 290 25th Street San Diego w/ widowed mother Ada M. Butler (50), sister Florence (20), brother Carroll (12) and brother Merle (9). In the 1920 census, he was a finisher for cabinet maker living at 246 25th Street San Diego w/ 1st wife Vera C Boren (21) born in Kansas and with brother Carroll Orr West (22) who was a garage mechanic. 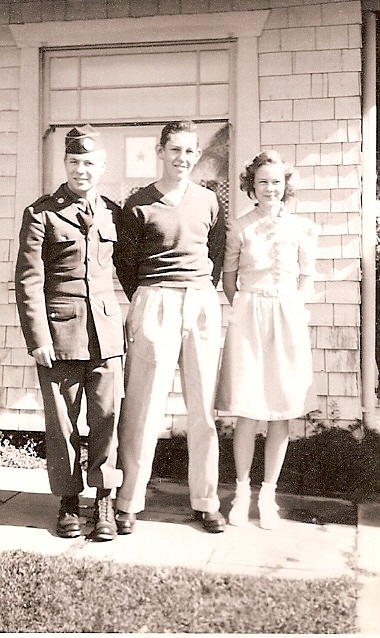 Brother Merle (19) had enlisted in Navy as a baker & resided at base in San Francisco. Philip died 20 Feb 1979 in San Diego, California. Vera Catherine Boren was born 16 Nov 1897 in Winfield, Cowley, Kansas. 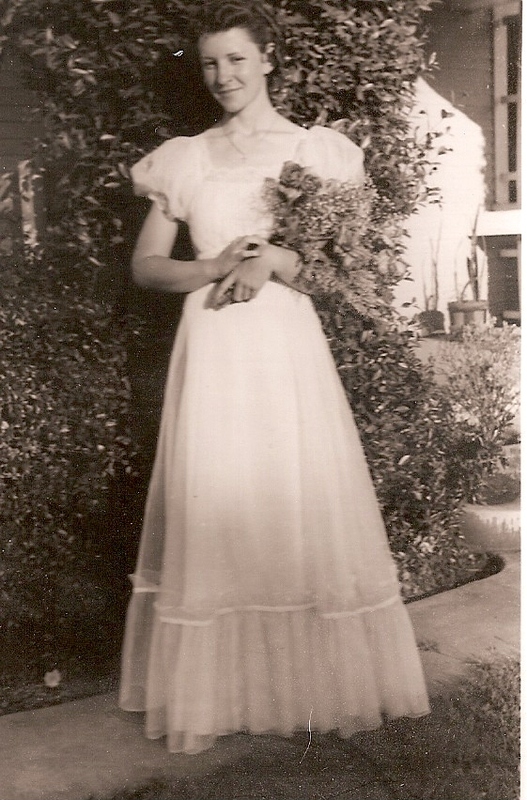 She married Phil West on May 11,1918. 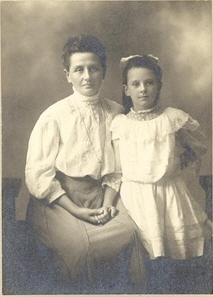 Vera died in 1920 in San Diego, San Diego, California. i. Harvey West, died of Malaria (at age 9) & it was in Ethiopia before they fled the Italians’ invasion. ii. John Orr West b. 12 Feb 1926 Gorei, Abyssinia (today’s Ethiopia) where his parents were missionaries; Gorei is a place in the region of The State of Somalia in Ethiopia at 9°4’48” N 43°4’48” E It is south and west of Djibouti, about 100 miles from the coast. The nearest city with an airport Jijiga, about 30 miles to the NW was a major center of operations during the Second Italo-Ethiopian War,. (October 1935 -May 1936) which forced the Wests out of the country . Gorei is about 25 miles from Babile Elephant Sanctuary. Conditions at this sanctuary are primitive, and it is not equipped for tourists. 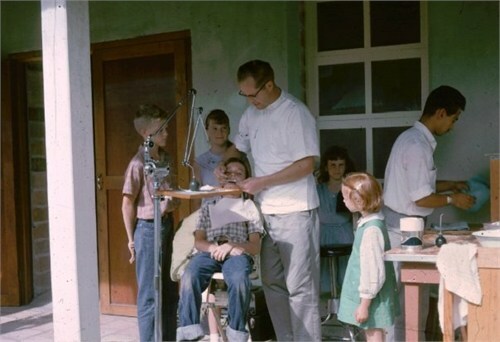 John and Lou were medical missionaries in Honduras flying from one small village to another providing dentistry care sponsored by a group of bush pilots called Mission(ary) Aviation Fellowship. 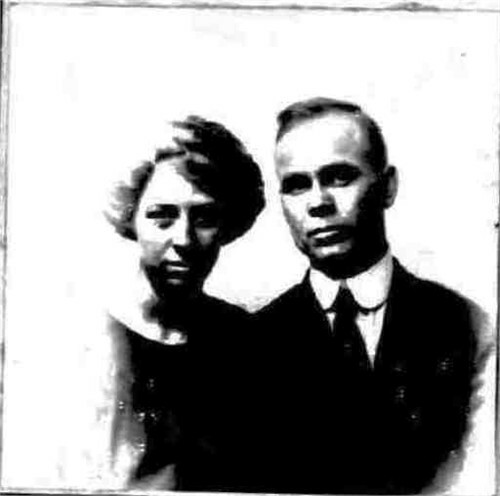 Effie met her husband, Philip West at a Bible College in Pennsylvania. 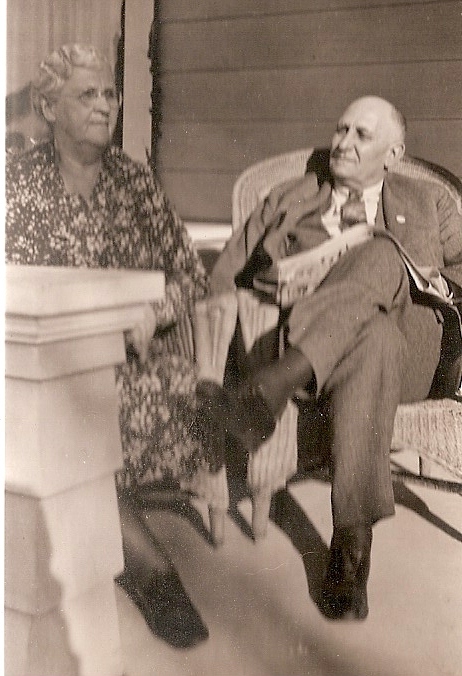 According to ancestry.com, Philip married his first wife Vera C Boren in 1920. 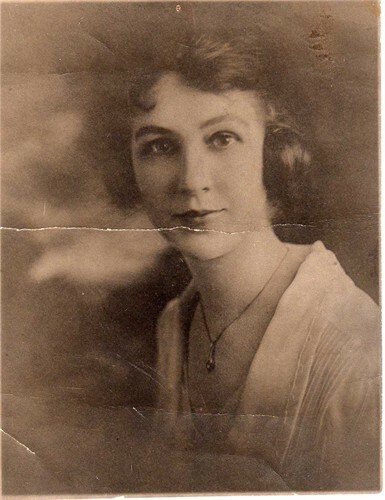 Two months before Effie married Phil ( 22 Jun 1922) she applied for a passport. The planned sailing date is a month before their marriage so their plans changed a little. Teacher & unmarried living w/ father Harvey Latta Minor at 3045 29th Street San Diego at time of application for passport with intention to travel aboard the S.S. Patria on 13 Jul 1922 to Abyssinia via Italy & Egypt to do missionary work. 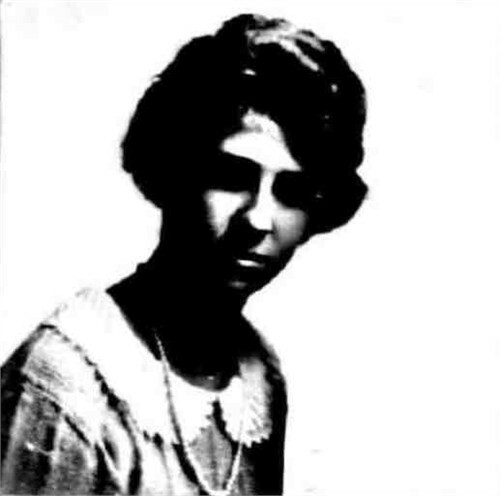 On 20 Jul 1927, Effie Miner West (1899 – 1994) sailed from Alexandria, Egypt, aboard the S.S. President Wilson bound for New York where he arrived on 11 Aug 1927 with her husband Philip and son John following 4 years of missionary work in Abyssinia. After four years of missionary work in Abyssinia, Phil and Effie returned to America. I worked for American President Lines, the company that operated the President Wilson, for over 20 years. Half a dozen times early in my career, when elderly people found out that I worked at APL, they would excitedly tell me about their marvelous passages on the President Wilson. As I recall, the vessel was in a Westbound world wide Service sailing from the West Coast to Asia, through the Suez Canal, Europe, East Coast, Panama Canal and back to the West Coast, a real adventure. Phil went to work as the mill foreman for my great grandfather. He was a hands on kind of guy. If you got a sliver in your finger he was delighted for the opportunity of yanking it out. I think they had an aid clinic in Africa. No doubt an influence on John’s choices. John West served in the Army during WWII. 81st Airborne where he was a medic. After the war he went back to Medical School and then practiced his medicine as a medical missionary in Taiwan until his six children (three adopted Chinese) got ready for High School when he returned to San Diego so they could go to school in the U.S. Mostly he worked in the ER. His sister Lou married a graduate of the Dental School at U.S.C. 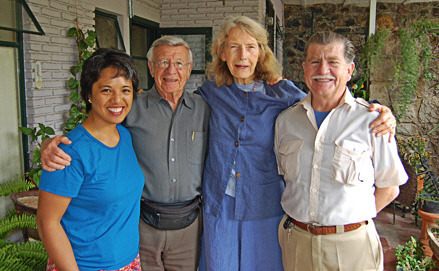 and they spent 15 years (mas ó menos) as flying dentist missionaries in Central America. Everett admires and respects the West clan. They were and are generous, kind, and caring fundamentalists. This entry was posted in -4th Generation, Line - Miner, Storied and tagged Grandpa Patriarch, Rock Bluff Nebraska. Bookmark the permalink. I’ve made the corrections. My Dad is very fond of your family. He’s retired now in Bend Oregon. I’ll email you his address.